When you are representing Canada at your own birthday party, you have to keep it real. First, you make semi-homemade poutine. 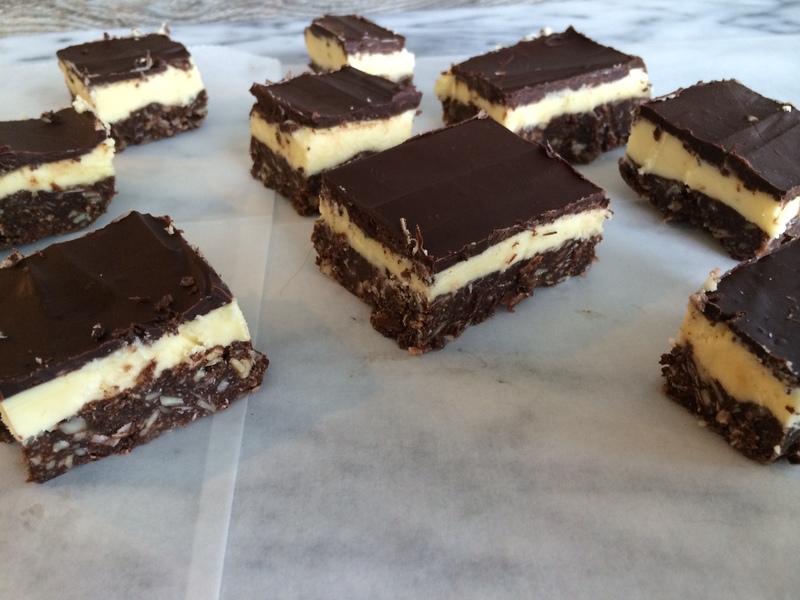 Then, you make Nanaimo Bars for dessert. These things, combined with copious amounts of Kokanee, Crown, and Canadian Tuxedos…pretty much make for an unforgettable night. 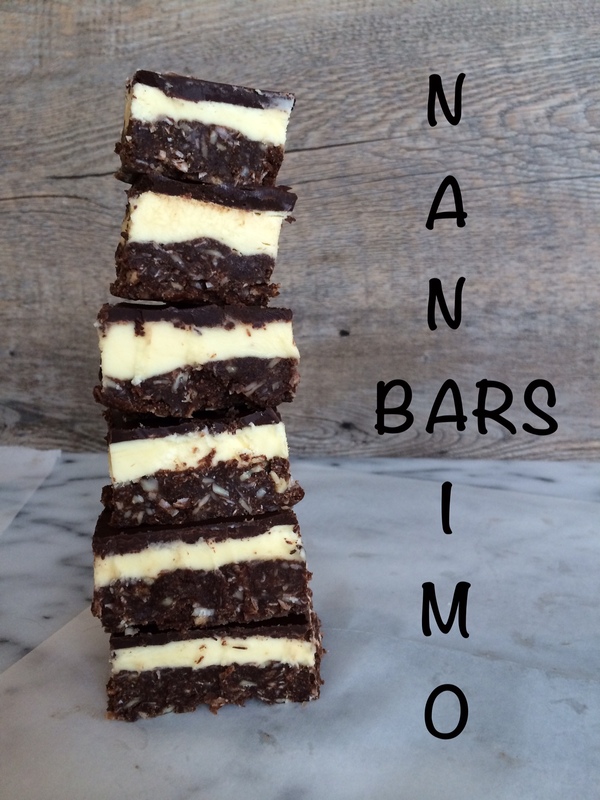 I have been wanting to make Nanaimo bars ever since we took a weekend trip to Vancouver BC…with our cell phones out of range, we were constantly getting lost on the Canadian roads. On the way home, trying to follow road signs and still managing to get hopelessly lost, we went under a sign that read “Nanaimo” and I tried saying it…”Na-naimo? naaaa…naymo?” I am famous for pronouncing things wrong, particularly unknown towns and cities (Fife, Kittitas, and Tenino are just a few of the classics). At this point in our trip we pretty much lost it over Nanaimo and couldn’t stop laughing.